I'll start off with the positives: the apartment was very nice and for the most part clean, the apartment had a washer/dryer combo machine which made laundry a breeze, and the walk to the t-bana (Stockholm's public rail system) was very easy and quick. Now for the negatives: the owner doesn't seem to have rented anything before and doesn't have some of the basic things in place like an information binder about the apartment, checkout details, public transit, local food and groceries, etc. When we arrived we just got the keys and he was gone. We had to message multiple times just to get the wifi code and the code to the building, so we effectively had to wait at the apartment until we finally got the info we needed. Another thing of note is that prior to arrival the owner called me no less than 6 times and about once every two minutes to determine where we were, but when I called 4 times from outside the apartment I never got a response or had my call answered. After 5 minutes the owner finally called back and let us into the apartment. Also, this definitely seems to be the owners personal apartment as there was food in the refrigerator and cabinets when we arrived. Finally, while this didn't really affect us, the area of town this apartment is in is considered slightly unsavory according to my friend that lives in Stockholm. 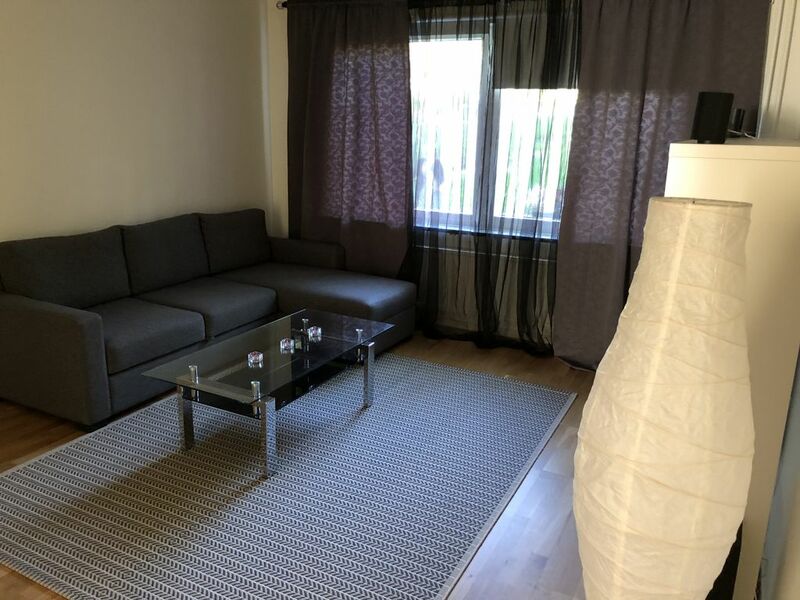 The apartment was nice enough, and we didn't experience any issues in Rinkeby (aside from the up escalator in the t-bana station being out) that I don't think it was too concerning. So overall the apartment itself is nice and as long as it is properly cleaned it should be a nice place to stay. The owner needs to shape up and learn how to properly rent out the apartment and include the necessary information for the apartment in a binder available to guests, but at the very least they need to communicate this information in a timely manner and be better at responding to messages and answering calls. The property was very nice and I really enjoyed my stay. I would recommend travellers to stay in this apartment.